Ireland made history by beating the Springboks 20-26 to earn their first ever victory on South African soil and they achieved it after playing most of the match with 14 players. Ireland had been hit by injury ahead of the match as they lost influential players such as Johnny Sexton, Rob Kearney and Simon Zebo. The loss for South Africa means the new coach Allister Coetzee begins his tenure as Springbok coach with a loss. South Africa had hoped to kick off their much-publicised ‘new era’ by laying down a marker but instead it was Ireland that put the marker down for the series. 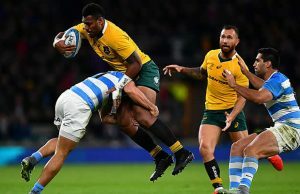 Both teams scored two tries each but South Africa’s discipline cost them as Paddy Jackson kicked three penalties and a drop goal to South Africa’s two penalties. 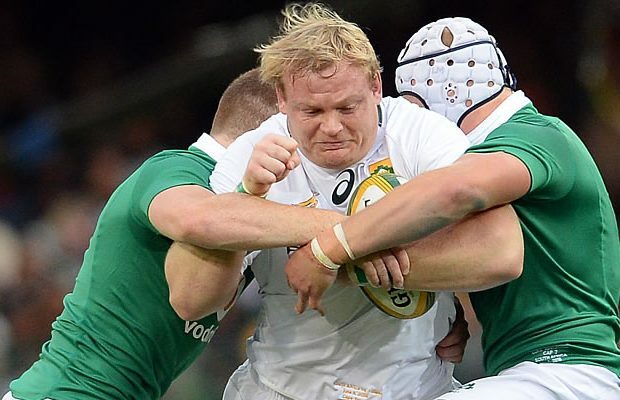 Ireland were also dominant at the breakdown and their aggressive defence kept forcing South Africa into making errors. Ireland’s South African born flanker CJ Stander was Red carded for a dangerous tackle which ended Patrick Lambie’s match in the 22nd minute. Ireland were leading on the scoreboard when Stander went off and the match got more difficult for the Irish nine minutes later when Robbie Henshaw was yellow carded for a tackle that was arguably more dangerous than Stander’s red card. 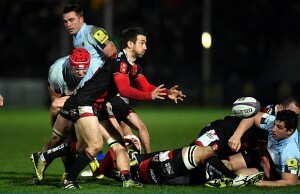 The Henshaw incident occurred in the 31st minute in the build up to a try by Lwazi Mvovo. French Referee Mathieu Raynal called for a replay on the try as there was an obstruction by Damien de Allende on Luke Marshall but the focus of the review shiofted to the Henshaw tackle and the obstruction appeared to be forgotten and the try was awarded. Despite being two players down Ireland managed to get into the South African 22 and levelled the scores at 13 all. South Africa came close to scoring on the stroke of half time but Ireland – playing with 13 players at the time – managed to hold them out and push them into touch so the scores remained level at half-time. Henshaw had just completed serving his ‘yellow-card’ time when the 14-man Irish stunned the Newlands crowd with a 43rd minute converted try through scrumhalf Conor Murray, early in second-half play (20-13). It took the Boks some to recover from this seven-point setback which would have been morally crushing, given a one-man advantage. The home crowd also responded nervously with repeated rounds of the ‘Mexican Wave’. But when the Boks did manage to shake off Ireland’s grip on the game, the Irish defence stood it’s ground as they soaked up the pressure, albeit only for short spells. Just on the hour mark, the Boks had a let-off when Jackson’s long-range penalty struck the upright and bounced back into play. As play wound its course through the final 20 minutes, there was little for the home supporters to enthuse as Ireland were allowed to hold the upper hand and 13 minutes from the end, Jackson landed another penalty for a 23-13 lead. The game was crying out for a moment of inspiration if South Africa was going to set a victorious fightback. Lock Pieter-Steph du Toit was hardly on the field, coming on as a substitute when he made an intercept and streak away unchallenged to score a converted try under the posts (23-20). It was the lifeline, South Africa needed. But there were no takers. Instead, Jackson added insult to injury with another penalty, three minutes from the end (26-20). Next week the teams meet again in Johannesburg where South Africa will have to win in order to prevent Ireland winning the series. Ireland second rower Devin Toner was named man of the match.